Today, financial institutions are continually pressured to decrease costs while increasing profitability. On top of these tasks, they must juggle demanding customers looking for faster, more personalized service, safeguarding against cybersecurity attacks and adhering to regulatory compliance standards. 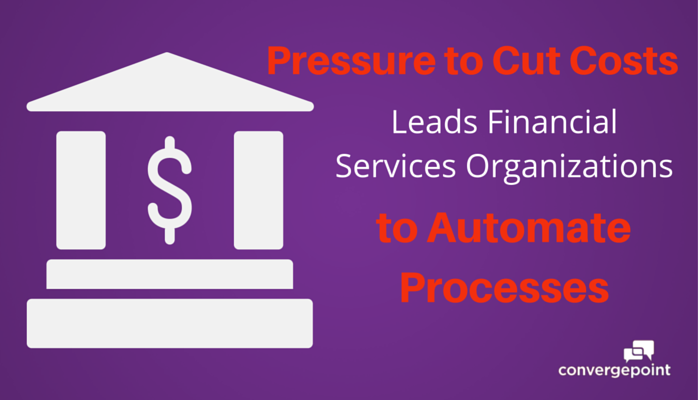 What platforms or systems are financial institutions using to automate their processes? Many financial institutions already have SharePoint, but haven’t maximized its potential for improving policy and contract workflows. In fact, recent Association of Information and Image Management (AIIM) survey respondents labeled SharePoint “best in show” for team collaboration and content management — meaning they have a strong commitment to making SharePoint work, but aren’t sure how to go about making the most of it. Not to be mistaken as an application, SharePoint is a platform that requires “integration with other enterprise systems and third-party systems to fill out its functionality,” according to a recent CMSWire article. With multiple branches or locations, you need a system that will store all documents in one central location, while allowing you to control who has access to which documents using integration with Active Directory Groups. For example, employees at Branch A should be able to see the corporate/administrative office’s documents and Branch A’s documents, but not Branch B – E’s documents. Mitigate risks by developing contracts with vendors and suppliers that clearly define responsibilities to help ensure the contract’s enforceability and limit your liability. With advanced document approval workflows, a contract management system helps ensure all the right people review the contract before it’s signed and executed.